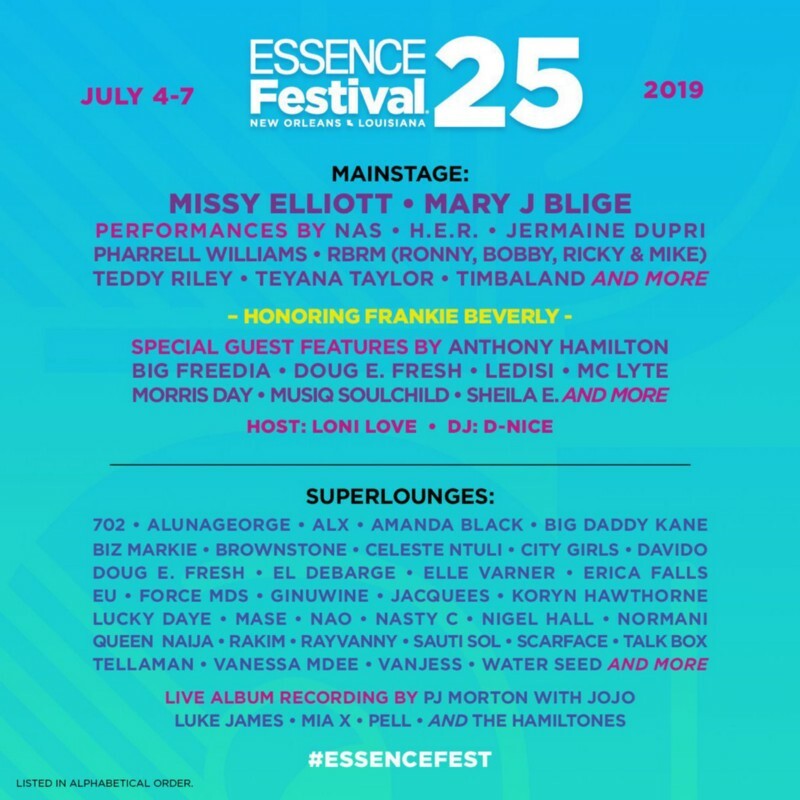 The ESSENCE Festival®, the world’s largest entertainment and cultural experience, celebrates its 25th anniversary during Fourth of July weekend in New Orleans and today unveiled part one of its epic 25th anniversary performance line-up. The impressive schedule currently features more than 80 of the most talented and creative artists from across the globe. More acts will be announced in the coming weeks. Special performance highlights include two seminal albums thematically brought to life, Mary J. Blige’s ‘My Life’ and NAS’ ‘Illmatic’ — each of which are marking 25-year anniversaries in 2019. ESSENCE will also cultivate a special mainstage moment honoring Frankie Beverly for his lifetime contribution to music. The ESSENCE Festival is produced by ESSENCE Communications, Inc.